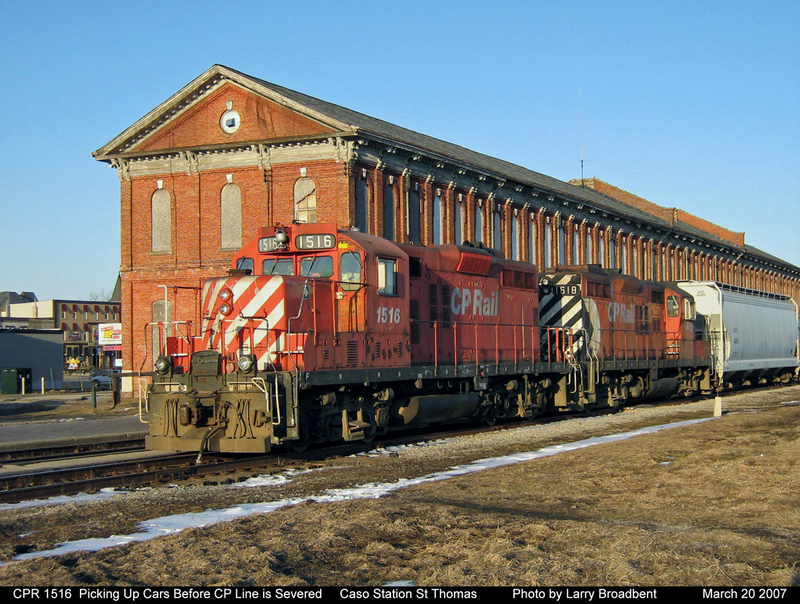 Railpictures.ca - Larry Broadbent Photo: CPR 1516 arrives to pick up remaining cars in St Thomas before the CP connection to the CASO is Abandoned and removed. | Railpictures.ca – Canadian Railway Photography – photographie ferroviaire Canadienne. Copyright Notice: This image ©Larry Broadbent all rights reserved. Caption: CPR 1516 arrives to pick up remaining cars in St Thomas before the CP connection to the CASO is Abandoned and removed. Most interesting historical shot!! Nice to see this one. this is great! Very rare.